I am so excited to tell you all about this event! 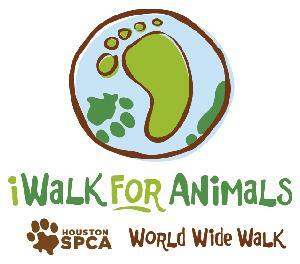 This November 6th I will be taking part in the Houston SPCA's iWalk For Animals World Wide Walk! During this event people all over the world will be walking (walk where you are) to help the Houston SPCA free animals from suffering, abuse, and exploitation. As you all know - I love animals! I do what I can, when I can, to help. This cause is very near and dear to my heart and I want to do anything I can to help! If you would like to pledge your support in my walk for animals, please feel free to make donations on my personal page on the HSPCA website. By donating you will be helping a great cause - Stopping the abuse of animals! I will be walking in Estero, Florida. If anyone is in the area, and would like to walk with me- please feel free to email me at: aaron_amanda(at)live(dot)com or leave a comment below with your email address, and I can email you! To Donate, please view my personal page : HERE. Amanda is there any other way besides credit card ? Happy to tweet it for you too just gimme a holler. I don't see anything on the website about any other way to pay. I'll give them a call tomorrow and find out - I'll send you an email if I figure anything out. Hope the walk goes well. This is a great cause. Awesome Cause, It is any in West Palm Beach, Fla? You can walk anywhere :). People will be walking where they are (anywhere in the world) in support of the cause. Hugs from the furry faces in Iowa- I was blessed with an unexpected gift card and wanted to start the ball rolling for you. Thanks for what you are doing, and much success in raising money to help our four legged friends. I challenge all her other blog readers to give- even if it is $5 to assist the cause!!! I truly appreciate it, and I can only imagine how far it will go in helping animals! You're awesome, Amanda! What a great cause!